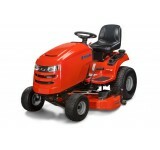 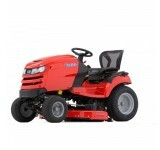 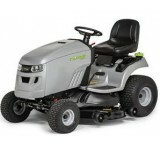 Murray MSD100 Lawn Tractor Ride on 107cm 42" Cut The Murray MSD100 0 Side Discharge lawn and garden ..
Murray MSD200 Lawn Tractor Ride on 117cm 46" Cut The Murray MSD200 is a side discharge garden tracto..
122cm /48" Side Discharge Fabricated Free Floating Deck Fitted With Full Width Rollers B&S In..
107 Cm /42" Side discharge B&S Intek Series 7200 OHV Engine Cast Iron Front Axle Ball B.. 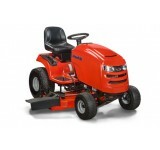 The GT 38HR is powered by a 344cc Briggs & Stratton Power Built 3130 AVS engine and pr.. 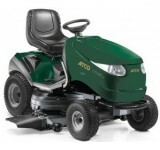 The GT 43HR is another fantastic machine in the Atco range of side discharge mulching tractors a.. 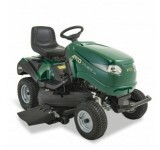 The GTL 43HR extends the Atco range of side discharge mulching tractors and is a great alternative i.. 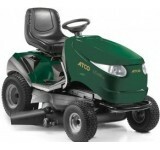 The GTL 48HR extends the Atco range of 2WD side discharge mulching tractors and is a great alternati.. 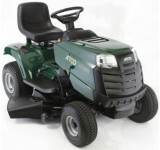 The GTL 48HR 4WD extends the Atco range of side discharge mulching tractors and is a great alternati..
132cm/52" Side Discharge Fabricated Free Floating Deck With Full Width Rollers B&S Commercial..